The area is strewn with romantic spots, most of which are connected with Aphrodite, Goddess of Love and beauty, known in antiquity - according to Homer - as Kypris, Pafia or Anadyomeni (born of the waves) as legend says that she emerged out of the sea of Paphos. Akamas is a unique area, both geologically and geographically and with regard to Flora and Fauna. Almost all the geological formations of Cyprus can be found here, resulting in a real geological mosaic. For this reason, the Akamas peninsula is endowed with a unique biodiversity, habitats and ecosystems. Many of our visitors are nature lovers. 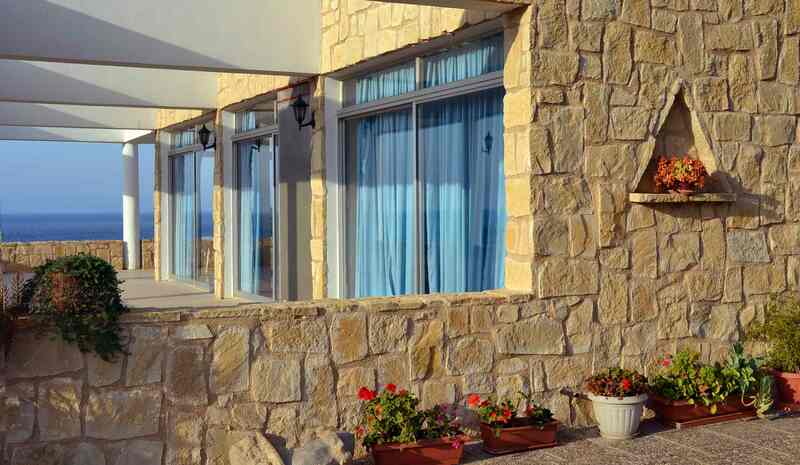 With the Akamas Peninsula surrounding The Aphrodite Beach Hotel is the perfect place to stay if you belong to that group. In the Akamas Peninsula grow no less than approximately 530 different plant species, not to mention the world wide known orchids. The variety of fauna is equally impressive with its 168 birds, 12 mammals, 20 reptiles and 16 butterfly species that have been sighted in the area. The famous Baths of Aphrodite is both the start and the end of the two self guided nature trails on the Akamas. Take a walk and enjoy the beautiful surroundings or if you are more sportive you can cross this natural beauty on a bicycle. The clear turquoise and calm waters of the sea in the area, make it perfect for swimming or kayaking. Only 3 minutes away by car is Latchi harbour where you will find a variety of taverns and shops. From here you can take a boat to Fontana Amoroza or the Blue Lagoon and spend the day snorkeling in the clear turquoise water. A further 5 minutes along the road will take you to Polis Chrysochous on the boardwalk by the sea, here you can take a walk in the Eucalyptus forest down by the beach or maybe visit one of the archeological sights. Maybe you would like to rent a car and explore the Cyprus villages, historic and archeological monuments, monasteries or our markets. And remember that after it all you may return home to the Aphrodite Beach Hotel.